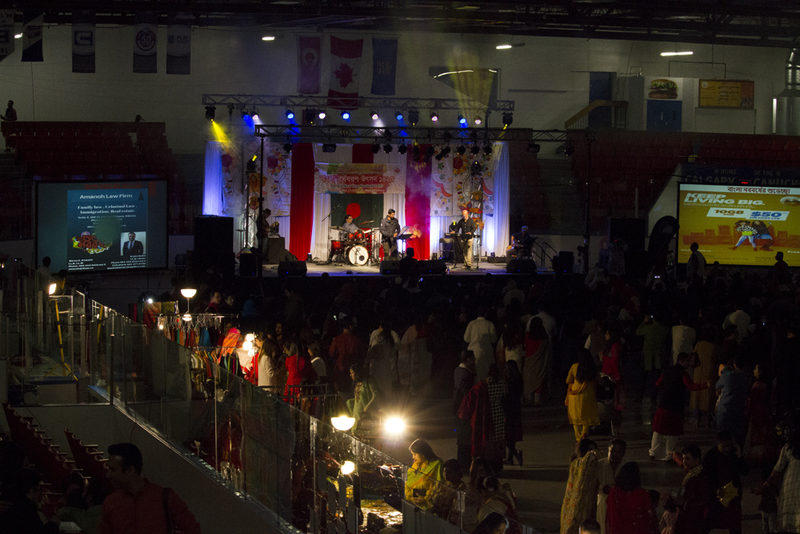 The Bangladesh Canada Association of Calgary celebrated the Bangla New Year at the Max Bell Arena on April 14. 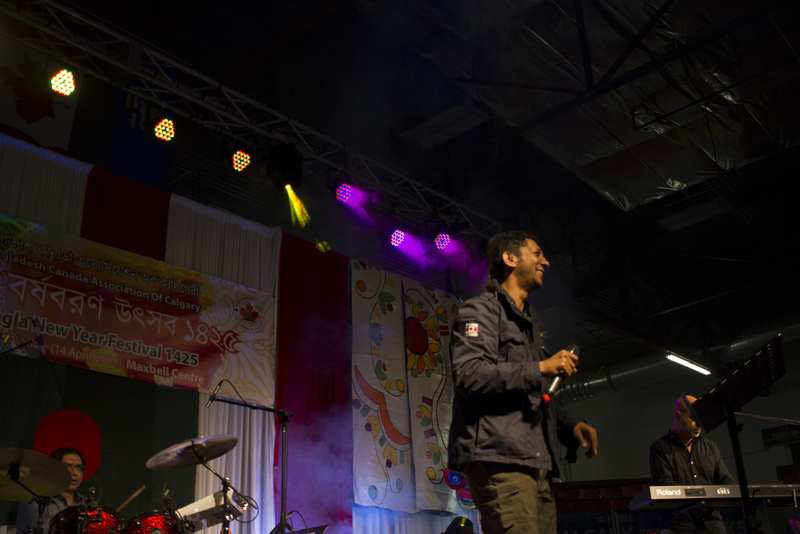 The festival was organized by Shuvro (left), who managed some of the larger logistic aspects of the event, as well as providing a stage deck. 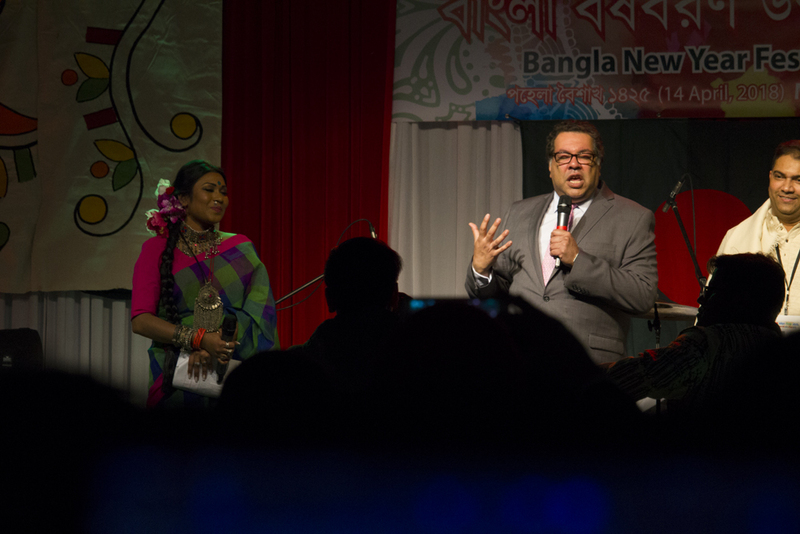 The events lasted from noon until midnight, and featured guest appearances by several esteemed MLAs, Calgary Mayor Naheed Nenshi, and an array of performances – including a play of a traditional story presented by youth, several professional presentations, and diverse performers from across the world throughout the day. 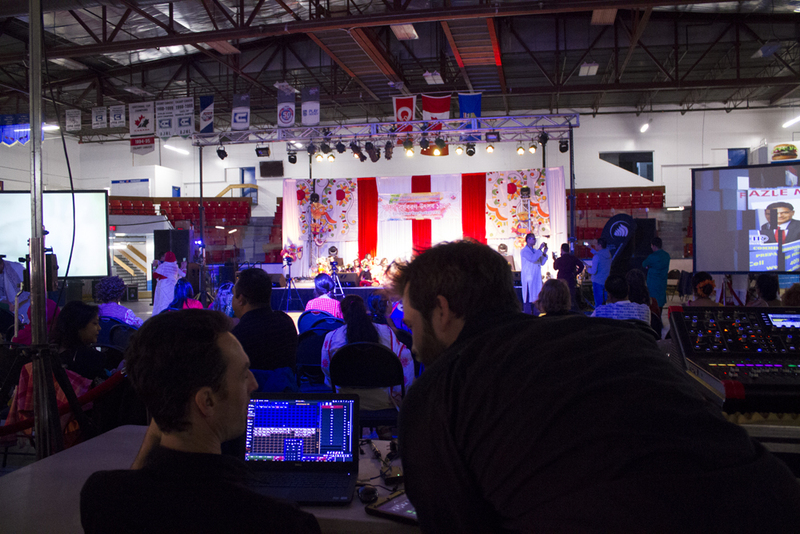 The Calgary Show Services team has been honoured to work with the Bangladeshi community for the last 5-6 years, and were proud to demonstrate our professional skillset and technical capacity at this event across the audiovisual spectrum. 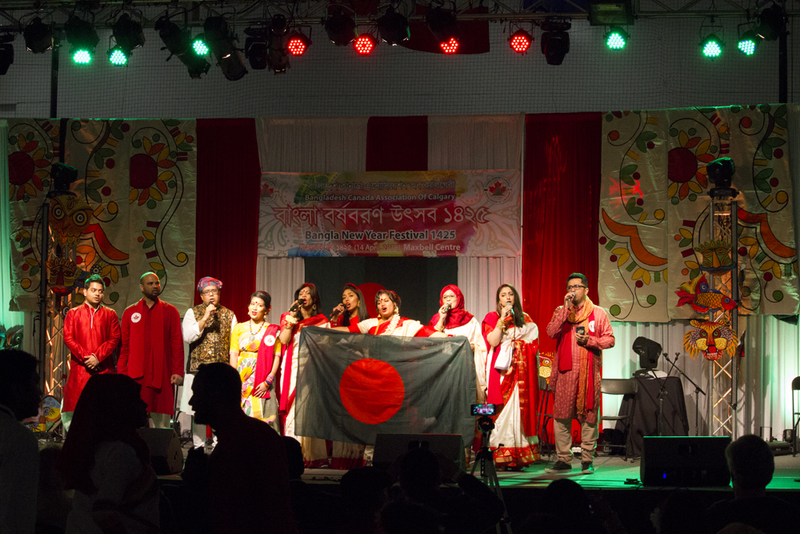 We knew ahead of time that the evening performances would feature world stars Samina Chowdhury and Tanzir Tuhin, and local acclaimed leadership, so we planned ahead to ensure everyone’s voice, and the whole celebration, was amplified enough to be heard across the packed arena. 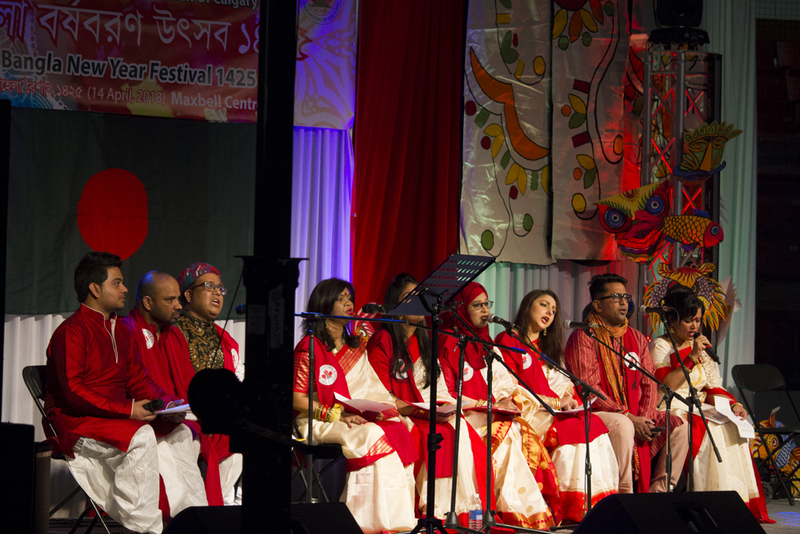 Tanzir Tuhin’s music was a blend of traditional folk and psychedelic rock and roll — keeping the audience pumped, and our speakers blaring. 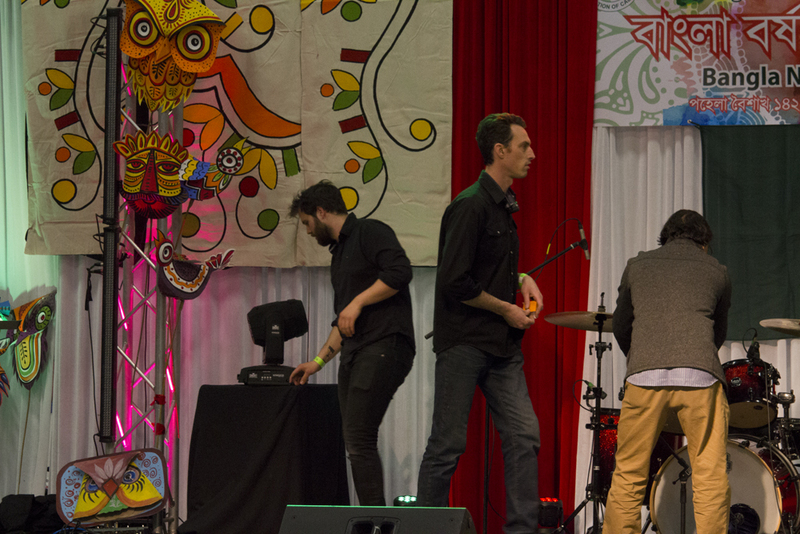 Eric (right), of Calgary Show Services, worked the 24 used inputs of the mixing board — each representative of the breadth of talent on and off the stage. We wanted to ensure that all of the artists, presenters, performers, bands, and speakers were heard throughout the arena, so we enhanced the performers’ using the Meyer line: four speakers and four subwoofers. 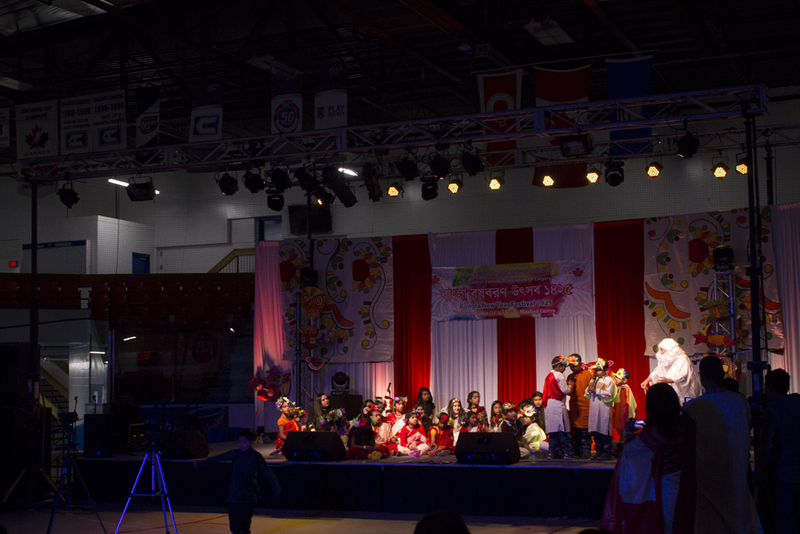 We utilized 45 different light fixtures during this event, including uplighting, follow-spot lighting, par-can lighting, moving head lights, and two trusses with upstage and downstage lighting. 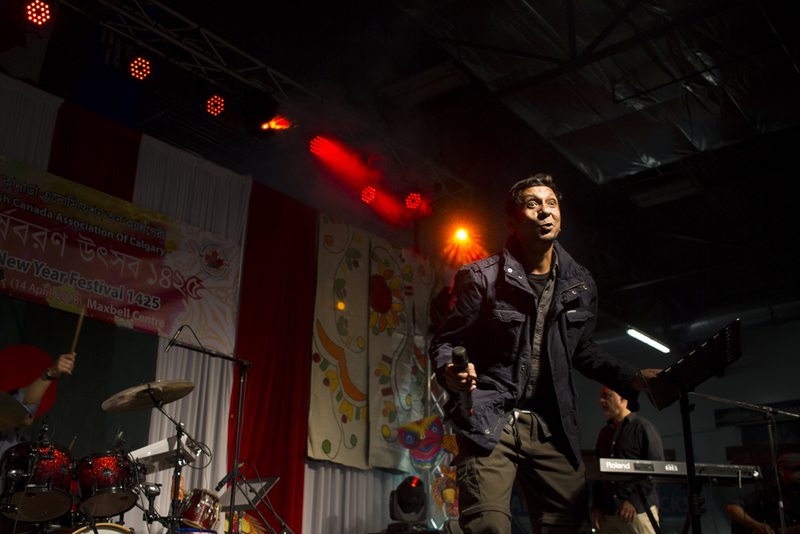 Kris utilized the MPC program to control the lighting, and was able to tailor the visuals – including the colours and gobos – to match the intensity of the performers. We brought two 13’ x 7.5’ projector screens, each with their own different projection streams, along with a 300’ balun to carry the projection further. 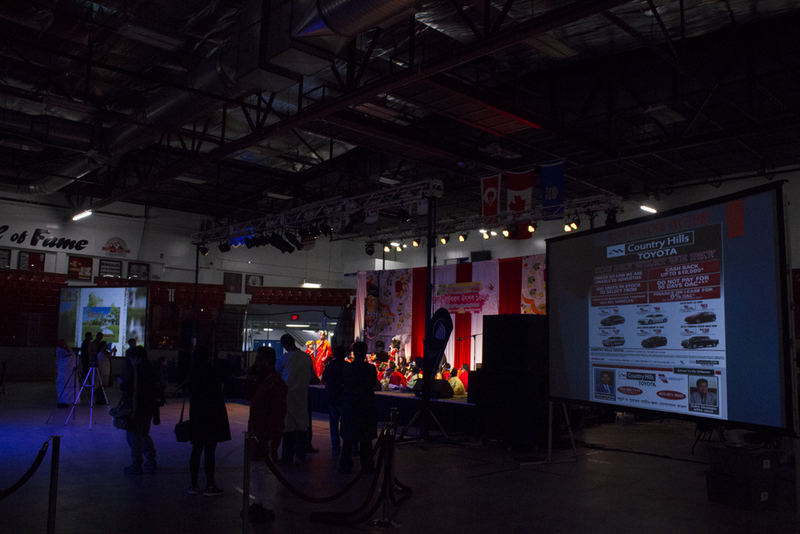 The organizers of the event tied into our projectors to share their messages through a rotating slideshow of advertisements, videos, endorsements, and messages from the community.